Ryan was already inspired by craft beer, and he had been brewing on and off for ten years with homebrew kits. “I loved craft beer,” Ryan admits. “I was the guy whenever I traveled, I had to go to different stores to see what beers we didn’t have in Florida. Back then it was a very different beer scene in Florida.” Ryan’s love of Florida and diverse styles of beer drove him to action. 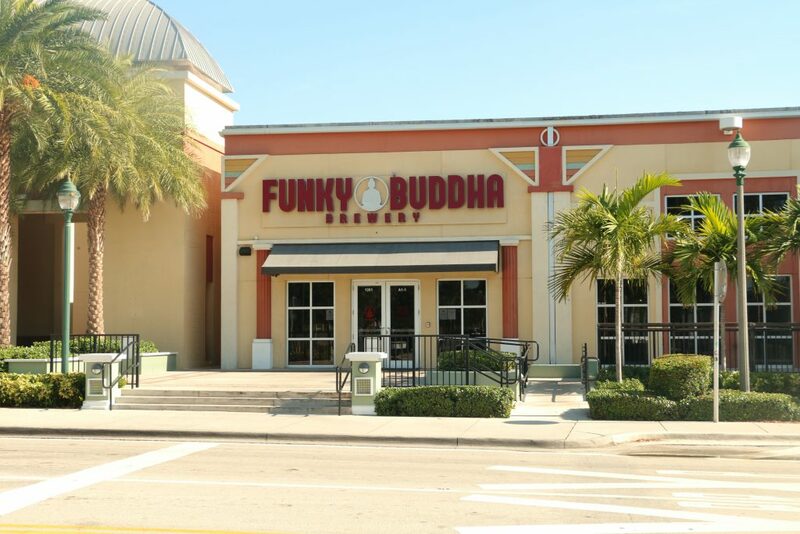 This was the birth of Funky Buddha Brewery – and one of Florida’s most recognizable brewery names did not come from the depths of the founders’ minds or their religious affiliations. Instead, the name comes from the name of the business that Ryan bought. He just dropped the name “R & R Tea Bar.” “Basically, the previous owner bought the business and the name came with it. He was lazy and didn’t want to pay to change the sign. But he liked the name ‘Funky Buddha Lounge.’ When I bought it, I was not going to pay for a sign with such a long name – I got rid of the ‘R & R Tea Bar’ and just kept the Funky Buddha Lounge. Funky Buddha Brewery founders Ryan (left) and KC Sentz (right). Before the Funky Buddha had celebrated their first anniversary, they had made one of the most sought-after beers in the world in Maple Bacon Coffee Porter. People were amazed by these combinations of flavors and how smokey bacon flavors could be present in a beer, especially since no version of the beer uses actual bacon. “We would go to these festivals out of the state and we would have the longest lines,” Ryan says. 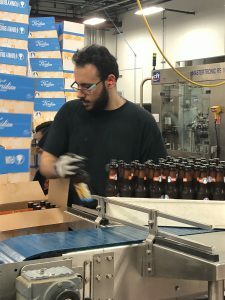 “We would pour beers like Maple Bacon Coffee Porter and we also had No Crusts peanut-butter-and-jelly beer, and Bonita Applebaum apple pie beer, and no one had ever heard of us. 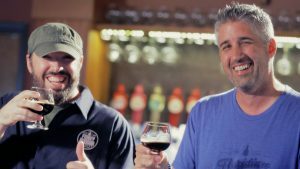 That happened at Extreme Beer Fest in Boston, Brewvival in Charleston, and The Great American Beer Festival in Denver.” Overwhelmed as he was, Ryan wanted both to expand the brewery and to get someone to help him operate it. 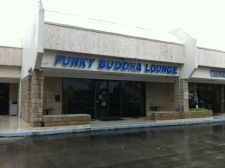 Funky Buddha Lounge opened its doors in 2006. The title “and Brewery” was added three years later. From opening the doors of Funky Buddha Lounge and Brewery to opening the doors of the current Funky Buddha Brewery was another three years. In total, six years passed between the opening of the tiny Funky Buddha Lounge to opening the current Funky Buddha Brewery. Funky Buddha Brewery in Oakland Park opened in 2013. 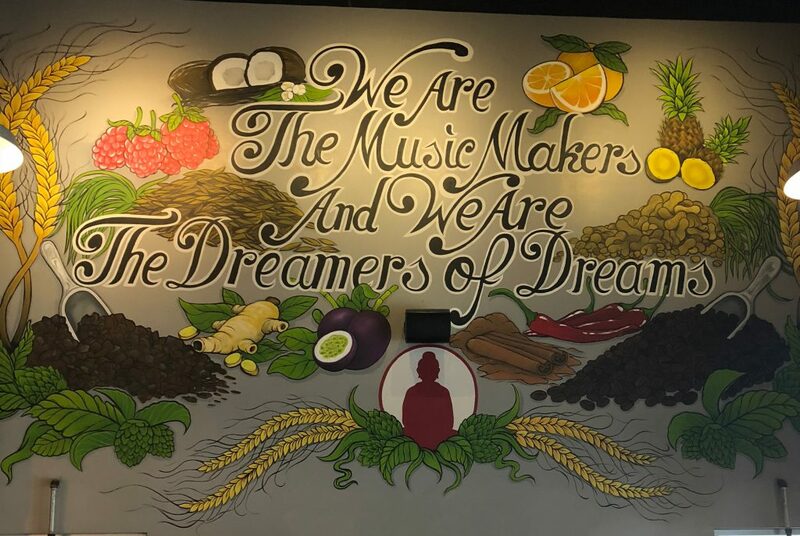 One of the interior’s most notable features was the mural on the wall quoting fictional flavor king Willy Wonka, an appropriate allusion to the wonderful beers that propelled Funky Buddha Brewery to their acclaimed status. From their production facility, Sentz and his funky team were able to make beers in 30-barrel (945 gallon) batches – a massive increase from the 1-barrel (31.5 gallon) batches that they produced at the Funky Buddha Lounge & Brewery. Where do they get such wonderful toys? The timelessness of Funky Buddha’s beers continues today. “The same beers that were popular at the lounge are the ones that are popular today,” Ryan says. “Maple Bacon Coffee Porter is still hugely popular. Our Nib Smuggler Chocolate Porter is a great one for us. When asked what beer challenges him the most, Ryan doesn’t hesitate: No Crusts. “I couldn’t figure out how to get the peanut flavor just right without destroying the head or having infection issues.” Playing alchemist to all of the flavors and nuances of the beer took time and Ryan was trying to make other beers, too. “Many of the beers like Maple Bacon Coffee Porter might have been right the first time that we made them. 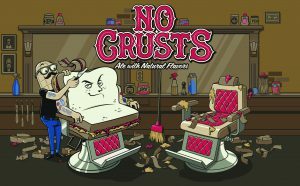 No Crusts definitely took a while.” As Ryan figured out the formula for his peanut-butter-and-jelly beer, the beer made sporadic appearances, developing a cult following that always wanted to know when the beer would be available. Funky Buddha Brewery packaging line packaging Floridian Hefeweizen. 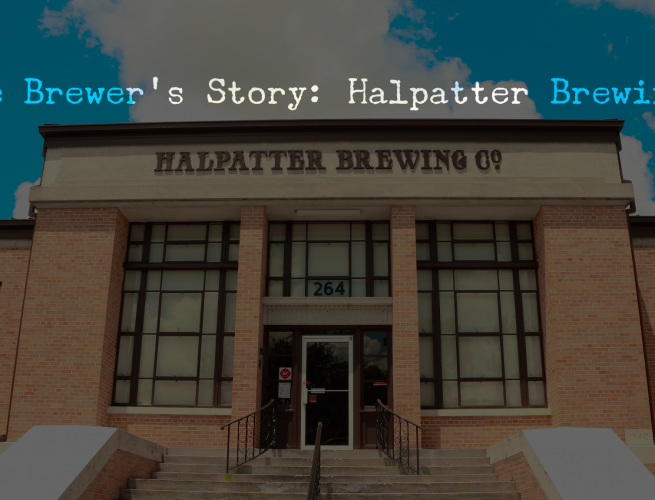 Join Team Cone as we sit down with one of Florida's newest distributing breweries, Halpatter Brewing Company of Lake City, Florida to talk about their roots, their plans for the future, and their lineup of beers. 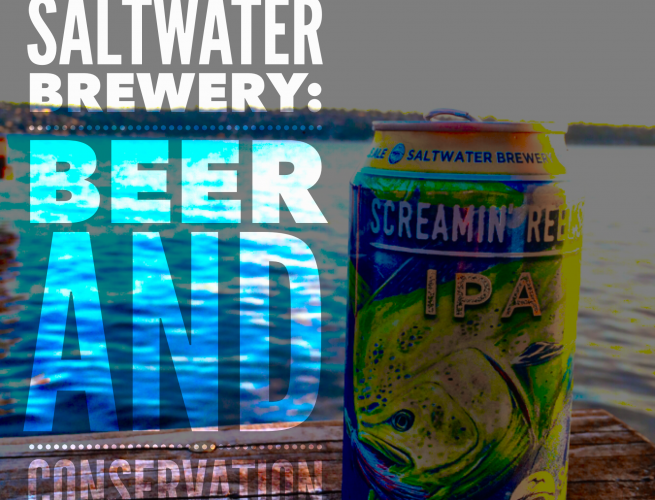 Recently, we enjoyed a pint of Screamin’ Reels IPA with the fine folks at Saltwater Brewery and talked about their roots, their current brewing situation, and the horizon ahead for this marine-themed brewery.